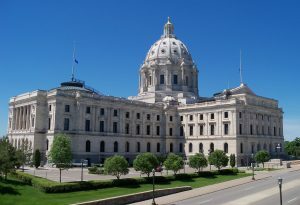 The Minnesota House Public Safety Committee is meeting Wednesday, Feb 27th from 7-11pm in room 120 of the capitol for the sole purpose of ramming Red Flag Gun Seizures (HF9) and Universal Gun Registration (HF8) through the committee and on to the House floor for a full vote. In short, Red Flag Gun Seizures would allow virtually anyone to make the accusation that you’re a danger to yourself or others and have your firearms confiscated without to much as an arrest, indictment, conviction OR hearing! It’s a total and complete destruction of our right to due process, and you would be nothing more than guilty until proven innocent. Universal Gun Registration would require every single firearms transfer to go through a government mandated “check”, creating a massive database of guns and gun owners across our state. 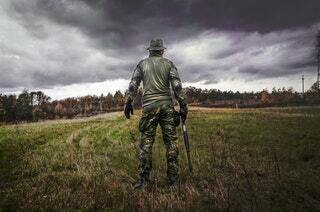 Under HF8, if you gave a pistol to your wife for self defense, gave a family heirloom rifle to your grandson or even loaned a friend a shotgun for a weekend hunting trip without going through a “check” first, you’d become a FELON! If you agree with me that these bills are TOTALLY INSANE and must be stopped, then please take action right away! Stop, Block and Oppose HF8 and HF9! HF8 and HF9 are a gross abuse of the Second Amendment and a slap across the face of law-abiding gun owners. Because criminals don’t obey laws, the “extreme risk” and “ex parte” protection orders won’t be worth the paper they’re written on. And increasing the background check system has shown itself as fatally flawed, proven to be incapable of stopping killers. Background checks don’t work, but what they do do is create a massive, federal database of gun owners, and I’m opposed to that in every way, shape and form. In short, any public display of support, move or motion to advance through committee, or vote on the floor of the House in support of HF8 and HF9, either in current form OR amended, will be graded as an anti-gun vote. Dianne Feinstein said it herself – no new laws will prevent a violent criminal bent on murder. As such, any support, assistance or vote to further HF8 or HF9 will be met with severe judgment by gun-owning voters in the next elections. Minnesota Gun Rights has promised to keep me informed of your actions on these bills and I insist you vote no!